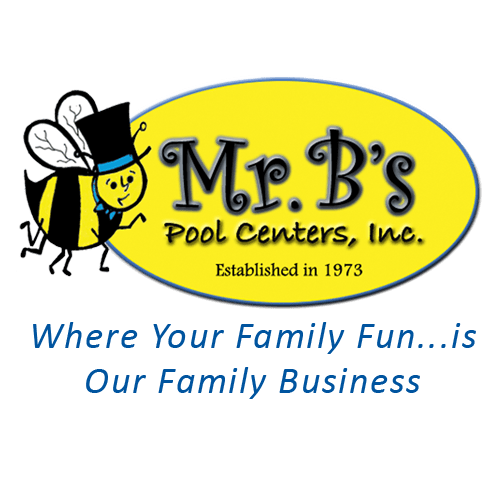 2017 is a banner year for Mr. B?s, as we celebrate our 45th season as St. Louis?s trusted above ground pools supplier. We?re proud to continue our tradition of creating an oasis of fun and entertainment in your backyard. After all these years, we still provide products and services to many of our original customers, as well as their second and third generation family members. We consider ourselves both blessed and honored by your loyalty, as we continue in our commitment to strive for 100% customer satisfaction in all phases of our service to you. We are especially grateful for your continued support, and we offer a special ?THANK YOU? to the customers who patronize our South County and St. Peters stores. Our past success is a reflection of your satisfaction with our products and services, and we dedicate ourselves to finding and supplying products which always provide you with quality, performance and value. For those who are visiting us for the first time, thanks for stopping by. Please relax as you browse our website. We know you?ll enjoy our selection of swimming pools and accessories, spas, and services specially selected for you and your family. Need more information? Please call or stop in to see us. Our trained and experienced staff readily answer your questions and assist you in making the perfect selection for your family.